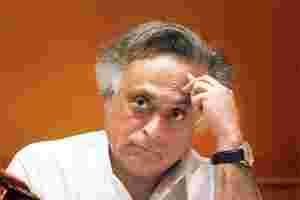 On the offensive: Jairam Ramesh. HT photo. New Delhi: Union minister Jairam Ramesh has written a letter, the second in a month, to Uttar Pradesh chief minister Mayawati demanding a federal probe into a scam related to the implementation of the rural job guarantee programme in India’s most populous state that is due to hold assembly elections early next year. Congress general secretary Rahul Gandhi, who is spearheading the election campaign for the party in Uttar Pradesh, wants to ride on the popularity of the rural jobs plan to help the party regain power in the state. The jobs plan was widely credited by political analysts to have helped the Congress-led government to return to power at the Centre in the 2009 national elections, in which the Congress won an unexpected 21 seats in Uttar Pradesh—its best tally in two decades. In response to Ramesh’s first letter, Mayawati had written to Prime Minister Manmohan Singh saying the irregularities cited by Ramesh were “politically motivated". She accused Ramesh of having a pre-conceived agenda and of arriving at conclusions without taking cognizance of steps taken by her government. The Mahatma Gandhi National Rural Employment Guarantee Scheme (MGNREGS) is the Union government’s flagship programme to eradicate poverty and reduce urban migration. It promises 100 days of manual work to each rural household every year. In the latest letter to Mayawati, Ramesh has listed instances of corruption in MGNREGS, and claimed the state government has done little to penalize those involved. The letter alleged irregularities in the programme’s implementation in the seven districts of Balrampur, Gonda, Mahoba, Sonbhadra, Kushinagar, Mirzapur and Sant Kabir Nagar. Spokesmen for the Bahujan Samaj Party (BSP) and the Uttar Pradesh government didn’t return calls and text messages seeking comment. Despite Mayawati’s announcement 19 months ago that the guilty would be brought to book, no action had been taken yet, Ramesh said. “If the state government wants to act honestly and send a message to the people that it does not in anyway want to save those who have looted funds from the schemes, then I feel that you should ask for a CBI probe in these districts," Ramesh wrote in the letter. Gandhi, who aims to bring the Congress back to power in the state after two decades, has projected the rural jobs plan as one of the Union government’s major achievements. Gandhi has criticized BSP supremo Mayawati’s government for misusing central funds. Gandhi, who is considered to be a future prime ministerial candidate of the Congress, is fighting the BSP that continues to enjoy strong support of the economically backward Dalits in the state. “It is an entirely political move," said Ram Kumar, a Dalit scholar and head of Dynamic Action Group, a Lucknow-based non-governmental organization. “Rahul Gandhi and the Congress ministers should not point fingers at others, because it is the Congress that has set the trend of governance in this country, including corruption, and smaller parties in the states are just following suit." Such letters will have no electoral impact, Kumar said. “If you try and convey to Mayawati’s core constituency that she is overlooking corruption in crucial schemes, it will find no traction. In fact, her supporters will accuse the Congress of defaming her."